Francofile: What's in a logo? Showy and vibrant logos have never really tempted me much, actually -- I would love to have a Coach purse, but they're plain leather and recognizable for their design. I've always been a fan of "classic" designs and logos. When they start looking like a bag of Skittles, all I have to do is wait for a couple of weeks and my students will be sporting them. Who wants to try keeping up with a herd of high school students? Fantastic post, as usual, Francofile. I get so excited when I see you've updated. Worth the wait, most definitely. Just like Michele, I get excited when I see that you have a new post. Great thoughts about the Vuiton trademark logo, which I actually despise - I could never understand why people find it remotely attractive or desirable. As a teen, though, I fell in love with the Lacoste brand and logo. I was about 18 or 19, and had to buy pretty much all of my own clothes with the money that I earned over the summer. I found out that I could buy Lacoste shirts in the kids department of Le Printemps, where they were much cheaper than in the women's department. My favorite was a light blue and white striped one that I kept for years. Besides being "cool," it was also super comfortable. Levi's jeans was another brand name that you HAD to wear when I was in my late teens, and I owned a pair of two of Levi's cords. They cost a mint in France at the time. I'm in the not-so-fond-of-visible-logos camp myself. Don't know why exactly. I guess in the case of LV, why pay $600+ to advertise the LV brand? (There's also an element of ostentatiousness that I dislike. "Lookit, I paid the equivalent of a mortgage payment for my bag!") I love high quality, don't get me wrong, but I gravitate to items that stand on their own without the help of a logo. The problem with Louis Vuitton stuff is that you could be carrying a fake you bought at the local market, so pervasive is the logo. It's a tough call. Should one wear a piece of clothing "with a logo" … and be branded forthwith ? A tricky choice, if one is not in full agreement with others who brandish that very same logo. (Witness the whole "chav" phenomenon in the UK – one might never wear Burberry again ! –grin-). Should one go for a Hermes scarf, rather than the bag, thus emphasizing one's discretion ? These days, one is tempted to remember that old Oriental saying, perhaps apocryphal … a paraphrase … "it's the nail which sticks up above the surface which attracts the hammer". That would make it straight "no logo". No logo fans on this thread. Loved the "skittles" analogy for the Murakami bag, Voix. But somebody--lots of somebodies--are buying them. Good point, Anne, and so ironic that the logo was originally implemented as a deterrent to counterfeiting. Elisabeth, the little Lacoste gator was shamelessly copied in the Ralph Lauren Polo logo. It seems that the French wrote the book when it comes to logos and branding. Ali, it is irrational, but the right bag can make you happy in a way that a mortgage payment cannot. But like you, it would be the quality, not the monogram, that I would invest in. Benoit, the LV logos made of bodies are an interesting reflection on the intersection between art and commerce. Thanks for sharing! I can't quite picture the discreet, "pur et dur" Amerloque sporting a fashion logo. Thanks for the subtle critique of the phenomenon. Call me a naive smalltown Ohio girl, but growing up I was completely unaware of the designer brand logos mentioned here! So, I'd have to say that I'm with Michele, and am not tempted by designer items. I spent a couple of years living in Japan, and quickly learned about the importance of brand logos! The majority of my students loved brands such as LV and Burberry. Not only the college age students, but also mature adults could be found carrying brand name bags and wallets. So now that I'm more familiar with the designers, I must admit that I'm tempted to buy Coach goods, but it is definately not possible on adjunct pay!! Anne, when are you going to post a photo of your Longchamp on your blog? Mary, those of us who work in education have to live through a lot of lean years, don't we? My spouse once worked for a company that used to own Coach. It was a feeding frenzy at the company's employee store! I mourned when he left that job. Darling, I am DYING for a new post. Something on cheese, perhaps? I'm pretty ambivalent to them. I like things that are aesthetically pleasing, so I look for a curve, pattern or colur that catches my imagination. The label alone just doesn't do it. I am not sure when 'brand' became so important. 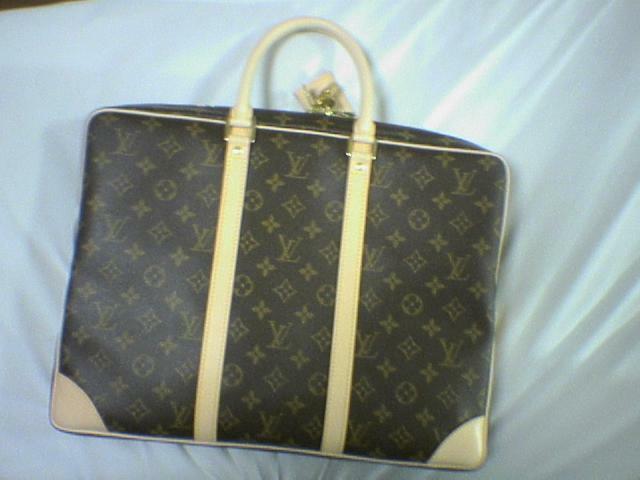 But I believe French brands are the first to come to Japan and to other world. Is there a Coach brand shop in Paris? My French friends did not know Coach. I bought one in NY - so expensive wallet! compare to their bags - but they are made in China! - shocking, isn't it? It is now time to start blogging again. Please blog about something French that I absolutely need to teach to my students before the end of the school year. will open it. This is very nice information about logo. It will helpful to all the fashion website designer.